share with us can only be used or disclosed for the purpose for which it was collected unless you have consented or it is required or permitted by law. online in my postings, my profile and for system notification purposes. By registering with our intranet database, you will gain additional access to our site and be notified about changes and news items as they become available through your email address. 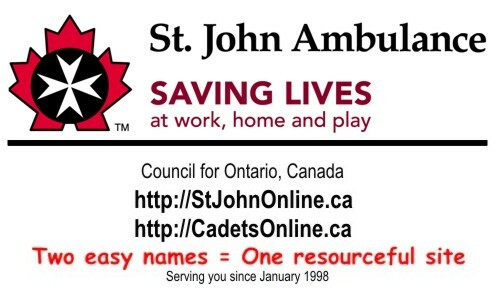 CadetsOnline.ca/StJohnOnline.ca is a service of St. John Ambulance - Council for Ontario. To register for an account, please supply the information requested below. Any fields noted with a red star (*) are required. This is additional information about you that will be displayed with your profile.